Helen Aguirre Ferré of Miami Shores is an award-winning bilingual journalist and communications consultant. She holds a B.A. in Political Science from Barry University and an M.A. in Inter-American Studies from the University of Miami. For more than twelve years, Helen has been the face of public affairs programming at WPBT2 (PBS affiliate), hosting the weekly series ISSUES and launching ISSUES REPORTS, an investigative arm of journalism reaching audiences from Florida’s Treasure Coast to the Florida Keys. She has also been a regular guest on many acclaimed national television programs including PBS News Hour, CNN Headline News, and Univision’s “Al Punto”, among others. In the print media, Helen was a respected weekly columnist for The Miami Herald and El Nuevo Herald. For many years, she also wrote for and held leadership positions at the renowned Spanish-language daily newspaper Diario las Americas. 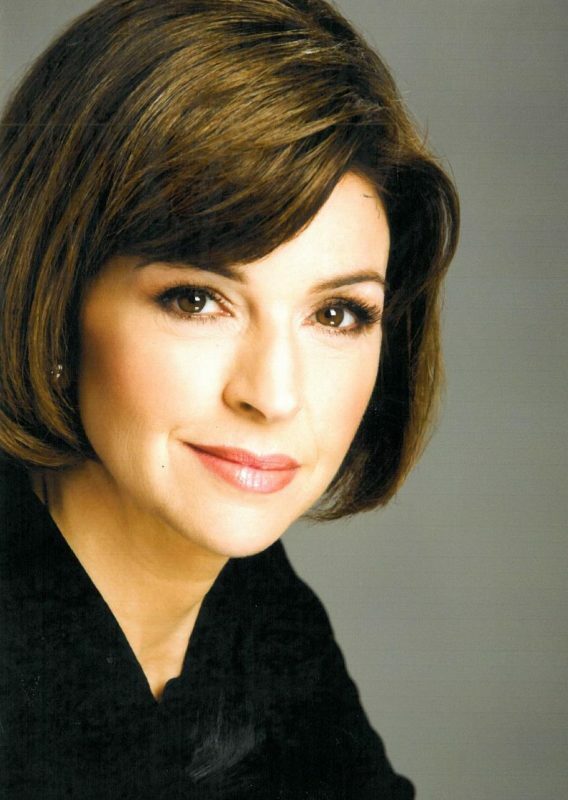 Additionally, Helen worked as a national host for Univision America Radio which aired in the ten major U.S. Hispanic media markets, and worked as a political analyst for Univision during numerous national conventions and elections. Helen is the co-founder of Operation Saving Lives, a humanitarian task force assisting the victims of Hurricane Mitch in Latin America, which supplies medicine, food, and water to the area. She is also the first woman to chair the Board of Trustees of Miami Dade College, the largest institution of higher education in the nation, which graduates the most Hispanics and African Americans. Helen has served on the Board since 1999, working diligently to maintain high academic standards and making college affordability a top priority. Helen received the American Red Cross Spectrum Award in 2013. She has been recognized by the Cuban Women’s Club, the American Nicaraguan Foundation, and the Latin American Chamber of Commerce of the United States, amongst others, for her success.